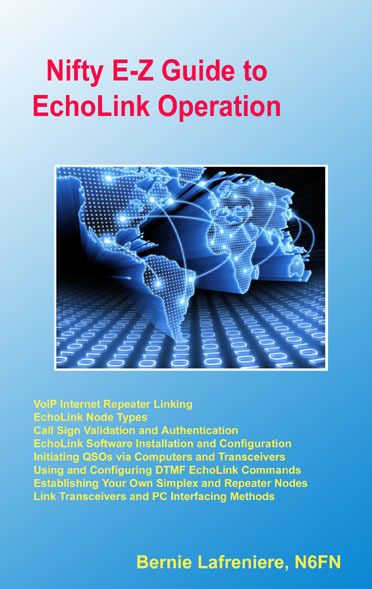 Each installation of EchoLink can operate as a conference host in Sysop mode, with up to 99 other stations connected in roundtable fashion, if your Internet connection has sufficient bandwidth to support it. In this configuration, the software runs under your own callsign, and there is no need to run extra software on a separate computer under a separate IP address. To enable this feature, go to the Connections tab of the Preferences screen. See Conferencing for details. Some EchoLink users have also set up dedicated conference servers, which are designed specifically to support large, continuous conferences, often dedicated to a particular theme or interest. These conference servers are listed separately in the Station List, and have names beginning and ending with an asterisk (such as *CONF*). These dedicated conference servers use a different software package called theBridge, developed and maintained separately from EchoLink. If you wish to establish such a server, please follow the guidelines below. Conferences are intended for general Amateur Radio discussions. A conference may not be used to promote or advertise a commercial product or service, or to promote a specific political or religious affiliation as its primary purpose. The description field in the conference server configuration is intended to convey a brief description or status of the conference, and not a special message unrelated to its purpose. The name (callsign) of a conference is subject to approval, and it cannot be changed once it has been approved. If you wish to change the name after approval, you must establish and apply for a new conference. If a new trustee will be taking over administration of the conference after it has been approved, the original trustee must give his or her permission for the change. This can be done via the Conference Server Status page. The trustee must be a validated EchoLink user and must keep up-to-date contact information on file with EchoLink. If we are unable to contact the trustee after several attempts, the conference will be removed from the system. Only a recent version of theBridge software may be used to host a conference. The current version is 1.09, and can be downloaded from cqinet.sourceforge.net. Please understand that we cannot provide technical support for theBridge; fortunately, there are various resources on the Internet to get help with technical questions. The conference server should be hosted in a location that has a fast, full-time Internet connection and a reliable source of power. Conference servers are expected to be online continuously. The trustee must have either physical access to the conference server or remote login access. As with any EchoLink node, a conference server must be reachable through its own unique external IP address. To demonstrate your long-term commitment to hosting a bona fide conference, there is now a US$40 per year administrative fee for each conference listed in the EchoLink system. 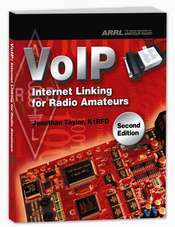 Proceeds support the ARRL's Education and Technology Program. This initial (and annual) payment must be made online using a credit card or PayPal. If you wish to run a dedicated conference using theBridge, please apply for conference server validation at secure.echolink.org/conf.jsp.